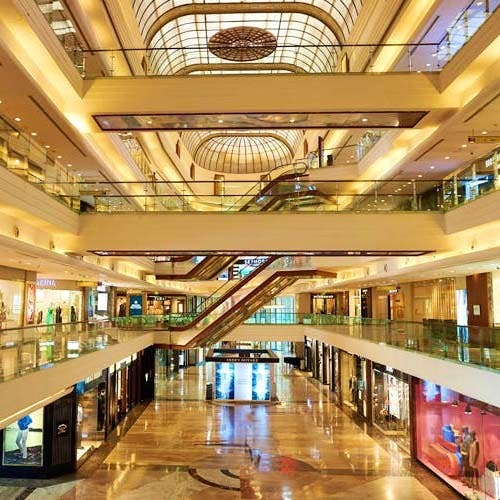 Mumbaikars, Have You Been To All These Shopping Malls In The City? Some may say that malls are a dying breed and that online shopping is here to take over, but there is a majority of us that still like to feel the silky smoothness of that sweater, the snug fit of the cocktail dress, that comforting warmth of the hoodie before we add them to our shopping carts. We went around town to see the best malls in Mumbai that have every shopaholic’s needs covered, all under one roof. High Street Phoenix is your go-to place if you’re in the mood to shop till you drop, quite literally. The plethora of brands calling out is enough to turn every visitor into a shopaholic. Shoes, clothes, sun glasses, bags, toys, or even a drink after a heavy day of shopping, High Street Phoenix is definitely worthy of being one of the best malls in Mumbai. If you’re in the lookout for some interesting buys (think quirky prints, colours, patterns and all that jazz) Infiniti Mall is a great idea. You'll find all the brands you love, from ethnic to the latest fashion, right here in one space. #LBBTip – We highly recommend checking out the collection of batik printed bags at some of the stores. Palladium is the one stop shop for everything luxury. Designer wear, international brands, timeless pieces all make an appearance to the crème de la crème of Mumbai in this high-end mall located right next to High Street Phoenix. If you’re low on budget but high on trends, heading to Mumbai’s biggest mall in Ghatkopar is totally worth the effort. Great deals on brands make this a must-visit for every shopaholic and fashionista in town! Clothes, shoes, perfumes, gadgets and almost every other accessory that you can think of come together under one roof at this shopping centre in Andheri. #LBBTip - Carry cash since most of the shops here levy service tax on card payments. It’s like a mini-Janpath in here! This thought will most definitely cross your mind as you make your way through stores selling trendy clothes, shoes, accessories, the works. #LBBTip – The knock-offs of popular high street brands are quite a find.